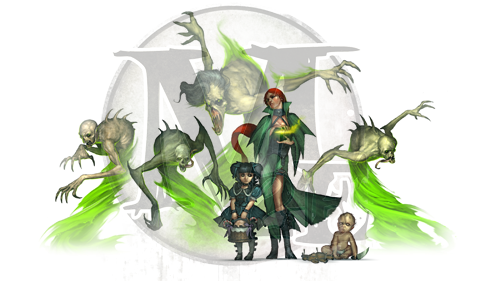 For those of you who do not know what I am talking about: M2E stands for Malifaux 2nd Edition. For several weeks the open beta to the newest edition of Malifaux has been hanging around for the player community to try out and give a whirl. Obviously the player feedback will help Wyrd make a ‘better’ game catered towards the community. Game testing with a larger group nets you better results. Especially when it comes directly from your consumer. I have been tinkering around with the second edition’s beta rules for a while. Not nearly as much as some of those who have been participating frequently in the discussions. I just do not have the time to invest in a lot of play testing. I do, however, have a good idea where the game is heading and would like to bring up some points I like and dislike about the coming update. The game’s generic mechanic has been tweaked and modified in a few slight and also drastic ways. One of the most important changes is the use of the well-known and all loved soul stones. Soul stones used to enable a model to be practically immune to an enemy attack or prevent an enemy from even having a chance at defending against a certain attack or ability. Now with weakened soul stones and more models that can use them, SS do not seem to be so vital as they used to be. I have played games with a small handful of soul stones to use and often came out on top, despite the imaginative handicap. Sure some crappy models can now even take out your master for a good helping of ‘Fudge You’, but that makes it all the more interesting for me. You need to handle your resources better, especially your control hand as you are going to be relying on that the most to be successful in key attacks. It has become more challenging to succeed in this aspect and I personally believe this is much more fun than a pretty much lost/won situation without any opposition. Another great change to the games pertains to the general strategies and schemes you play. Depending on the game type you can have a small and limited amount of strategies or a long list of them. For regular games you will most likely be playing with the core set of strategies and that is perfectly fine. Now some strategies (and schemes) give you VP at the end of turns instead of the game. This changes the whole game dynamic, as in order to win, you will need to focus on scoring those important victory points during the game instead of work towards it at the end of the game. Schemes are similar to strategies in that they are determined randomly. You get a small pool of random schemes to choose from and do so before the start of a game. This way abusive schemes from the prior edition (e.g. Sabotage) cannot be abused anymore and players will have to adjust to their goals accordingly. The nice thing about schemes is that most models can now place Scheme Markers in play with a simple (1) Interact action. These markers are vital to scoring points through your schemes. The best part is, they can help you play twisted mind games with your opponent. You and your opponent have 5 schemes to choose from, but your opponent wont know exactly which ones you are pursuing, unless you announce them. This means to me that the general strategic value of the game has increased quite a lot. You are not so focused on dishing out damage and killing off models all the time and instead really need to focus on your main goals in order to win the game. Malifaux was never one of those games that made you HAVE to annihilate every existing enemy model on the board in order to win. With it you could win without a single model left on your side of the board. Now this is even more amplified. Another notable change would be the various changes to the crews, how they are built and also what they can do. With this edition a new mechanic for crews has been introduced: Upgrades. You use your crew’s soul stone pool to purchase not only models but also Upgrades for some of your models (mostly Masters and Henchmen). In addition with some higher cost minions the game feels artificially inflated. Now we play a 45SS game instead of a 35SS game. Same amount of models, just a higher cost. Upgrades belong to one of the changes I kind of dislike. Sure it is cool to be able to ‘customize’ your models in a way and give them a special flare and uniqueness for the game you are at that moment playing, but in the end lists of ‘must have’ upgrades will emerge, due to developing meta and in the end you will have mostly a static model with hardly any change. I personally have experimented a bit with some upgrades, but later on just automatically chose some in advance because those specific upgrades had the best synergy to my play style than other ones have. I also dislike the extra couple of minutes needed to consider these upgrades, when hiring your crew. It is not a lot of time, but it still bugs me when I have even more to think about in this already complex game. Quite a lot of models have been altered a bit in how they function and perform in the game. I have mostly been play testing Seamus (one of my all time favorite masters in the game) and must say I am really pleased with the outcome. Some much needed changes have been made and will surely help balance the game and the models out more than it has been in the previous edition. I like Pandora. I really enjoy her mechanic and the tactical exploitations you can pursue with the 1.5 rules. The problem is she is so hard to defeat and people have more than a hard time coping against her. In this new edition she has been severely nerfed, but not to a point where I regard her as weak. She is still strong and plays similar to before. She is just not as broken and overpowering as before. I hope with this edition people will stop moaning when I start to pull out one of my favorite masters to play with. One thing pertaining to the crews that I really do not like is that the updated rules for all of the models will not be released at the same time. Apparently we are going to be receiving a small amount, maybe about 50% of the models with updated rules this coming release. What about the rest? They will apparently be worked on in some form of testing throughout the following half a year and eventually be released to public. What this means is that Wyrd is enforcing a new edition that renders half of the models for Malifaux useless for a long time. This is something I personally am not a fan of. Given I will be able to enjoy and play the new edition, as I have purchased quite a lot of models and own the variety to play around with the new stuff as well. What about the players who only have one or two crews and those do not belong to the updated models yet? They are forced to purchase something they may not even want just in order to continue playing the game? As mentioned above this is a move I majorly dislike. I personally wish they would have released the game a year later and imposed a heavy and thorough play testing and release all of the new rules simultaneously. Another major change coming with the new edition is the artwork overhaul. 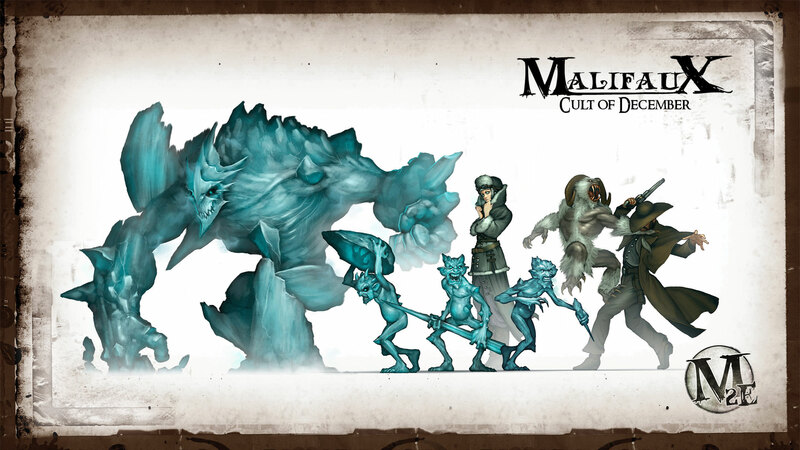 We have been experiencing the new change in art direction with the latest and fourth installment of the Malifaux books. Now we are getting all of the models updated in the same new look as the newest models released in the past year. With this change comes one of the most significant ones: plastic miniatures. All of the old models will now, in time, be released in plastic. The plastic minis will mirror the new art style as the previous examples have proven us. In a way I will highly enjoy this, as I love the new art style (though some of the interpretations are just not up my alley). What bothers me is when I look at models with really frail bits and pieces. For instance look at the Misaki crew box and look at all of the thin and frail bits. Imaging those popping off during a game or transport is going to become a nightmare if a lot of models are going to end up like that. For that, though, the plastic minis will enable more building options, as these are easier to convert and work with than the pewter versions up until now. I have mixed feelings about this, but we will have to see once everything has been released. Very insightful read, thank you. Little bit bummed about the change from pewter to plastic minis. To be honest I always prefer metal over plastic. I actually like plastic a whole lot. But it has to be sturdy and I feel that the new plastic range is just too frail to be really safe from breaking. Sure pewter models can break and even have frail bits, but plastic is still quicker a subject to breaking than metal minis. Yea i was just thinking that! Haha good bye beloved bank account.